Our hotel is situated 6.5 km from the little village of Realp on the Furkapass, 2110 m above sealevel. In summertime you can reach us by car or public transport. 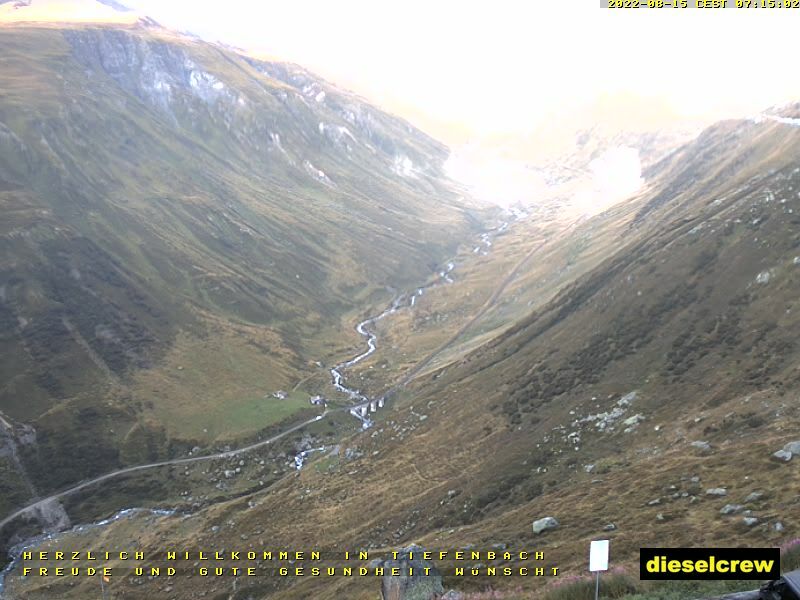 In wintertime the road is closed, but there is a winter – hikingtrail from Realp to the hotel. You can just walk, or enjoy the trail with snowshoes or skitouring. Our hotel will give you a comfortable stay in a family atmosphere – with fine wine & food, which you can enjoy in our restaurant or sunny terrace! Your trip can start directly in front of the door – walking, hiking, climbing … pure nature. All of the 20 doublerooms are furnished with toilets and shower, some of them with TV. As well we can offer you accomodation in our „Touristenlager“ – divided into small dormitories (4-10/12 places). For your comfort you will find there toilets and showers on the floor. All rooms are heated.